We also analyze the flexibility and robustness of Outlier Exposure, and identify characteristics of the auxiliary dataset that improve performance. Thus, due to the lack of representative data, the wide-spread discriminative approaches cannot cover such learning tasks, and rather generative models, which attempt to learn the input density of the normal cases, are used. This work presents a method for active anomaly detection which can be built upon existing deep learning solutions for unsupervised anomaly detection. Unsupervised learning is about capturing dependencies between variables and is driven by the contrast between the probable vs improbable configurations of these variables, often either via a generative model which only samples probable ones or with an energy function (unnormalized log-density) which is low for probable ones and high for improbable ones. 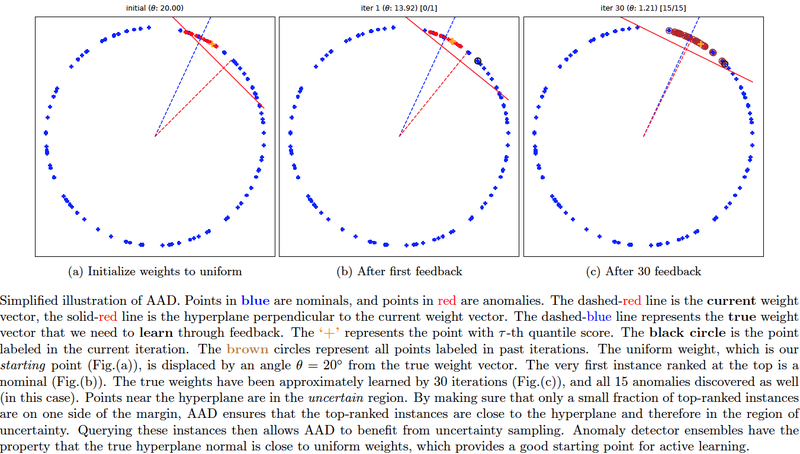 This paper describes a new form of unsupervised learning, whose input is a set of unlabeled points that are assumed to be local maxima of an unknown value function $v$ in an unknown subset of the vector space. First, we introduce the basic models for learning node representations in homogeneous networks. Face recognition has achieved unprecedented results, surpassing human capabilities in certain scenarios. We introduce a self-supervised representation learning method based on the task of temporal alignment between videos. Functional neuroimaging techniques using resting-state functional MRI (rs-fMRI) have accelerated progress in brain disorders and dysfunction studies. The second group includes approaches utilized in the related contexts as a filtering method toward decreasing the possibility of false alarm rates. Given the lack of a comprehensive study regarding possible ways to mitigate the false alarm rates, in this paper, we review the existing techniques for false alarm mitigation in ADS and present the pros and cons of each technique.